An upcoming fighting game, a handheld remake and now a monthly magazine; Atlus' Persona series is officially a big deal. The first issue will include a 16-page feature on Persona 4 The Animation, including an interview with the director. A regular column in the magazine will also flesh out the world, characters and game systems of the Persona series. Naturally, the magazine will also contain information on upcoming titles such as Persona 4: The Ultimate in Mayonaka Arena and Persona 4: The Golden. A Dengeki Online report translated by Anime News Network also reveals that the Persona 3 manga that was serialized in Dengeki Black Maoh magazine will be featured in the Persona Magazine as well. 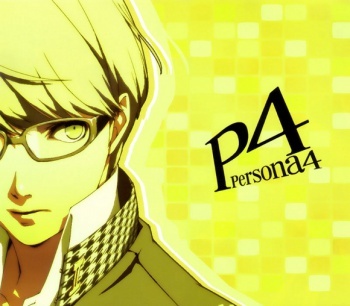 Additionally, a spin-off of the ongoing Persona 4 manga will be included in the magazine as well. That's all well and good, but one wonders exactly how much content the publishers behind this thing can wring out of the series. I could see maybe six months worth of issues if they do in-depth profiles on every Persona game to date, totally blowout the upcoming Persona titles, reprint all the back material suitable for a print publication and maybe conscript a manga artist to create some original content, but then what? The magazine based on World of Warcraft -- a game that is constantly changing and evolving enough to warrant a dedicated news outlet (not to mention several websites across the 'net) -- only made it to five issues before calling it quits. What makes anyone think the comparatively static Persona series can generate enough tangentially-related text to warrant a monthly magazine? Or maybe this is one of those uniquely Japanese things that can only work when applied to a natively Japanese property aimed at Japanese fans within Japan. Like Robotech or Transformers.